Global equities, as measured by the MSCI World Index, booked gains in August but with significant regional differences. US equities remained strong, with no negative impact from heightened trade tensions: not on the markets, not on the economy. Meanwhile a currency crisis in Turkey put European banks under pressure (again...). Eurozone equities showed sharp losses, with the Eurostoxx 50 losing 3.8%. The Aphilion funds had a relatively strong month with both Balance and the SIF posting solid gains, while Equities kept pace with the MSCI World (+1.74%) despite very weak European equities. All funds remain strong outperformers for the year. ​The (continued) strong underperformance of European equity was a significant drag on the performance of our "Equities" fund, which is structurally overweight in Europe. Nevertheless the fund managed to keep pace with the MSCI World in August and is even comfortably ahead for the year-to-date: +9.4% vs. +7.0% (with European equities losing -1.8%!). European underperformance is less of a hindrance for Balance, because the fund hedges its equity market exposure with matching regional futures contracts. What's more: because we opt for the more liquid Eurostoxx 50 contract the fund got an extra boost from the exceptionally poor showing of Eurozone equities this past month. That will not always go our way, but we think the higher liquidity, and so lower trading costs, are worth this extra bit of 'tracking error'. Balance is up +3.8% for the year. The remarkably low volatility of the LS fund continued in August, despite a continuous flow of earnings announcements. Our new risk practice of holding more positions (now about 180 long/180short) and more frequently reweighting existing positions is clearly bearing fruit and doesn't seem to be weighing on performance: the fund was up +0.9% in August and an impressive +9.5% for the year-to-date. Our stock selection is based on a set of proprietary mathematical models and tools, improved and refined throughout the years. Since the launch of our flagship fund Aphilion Q² - Equities in 2001 we have achieved an average annual return of +8.0%, net of all costs. This puts us in the top percentiles of our peers and - more important - throughout that period we have consistently maintained the same methodology, executed by the same people still managing the fund today and for the foreseeable future. 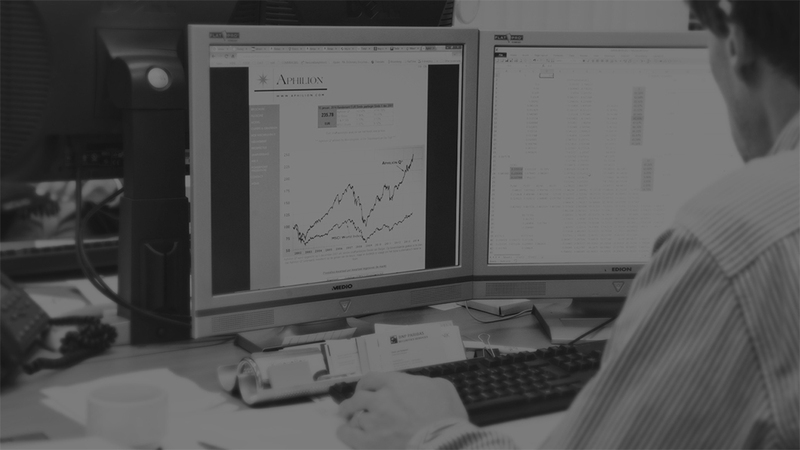 More numbers and information can be found in the fund factsheets (available by clicking on the buttons above), on our website for the Q² funds, and on www.aphilion.com/SIF for our hedge fund (well informed investors only).